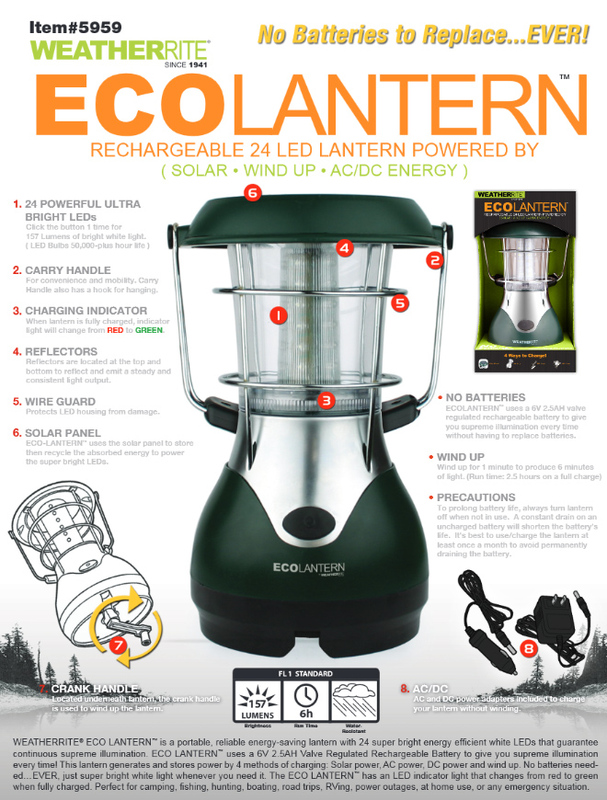 The WeatherRite® ECOLANTERN™ is a durable, rechargeable portable lantern. 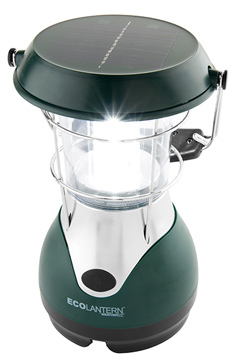 The 24 LEDs provides 157 Lumens of bright white light. It features a built-in rechargeable battery. The LED indicator shows red when charging and green when fully charged. Click here to view features. Copyright 2016, Universal Radio, Inc.